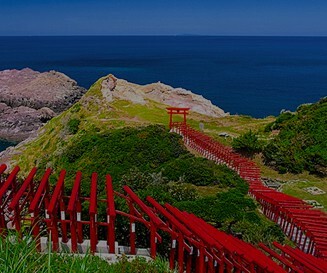 An extraordinary location chosen by CNN as "One of the 31 Most Beautiful Places in Japan." Known as the "Alps of the Sea," these ocean-carved rocks are natural works of art. 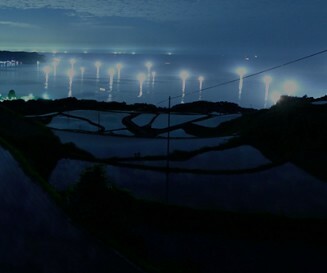 The Yuya Terraced Rice Fields are nationally reknowned for their view of the sunset and the lights of the fishing boats below. Nagato is home to five different hot springs, each with different properties, not least of which are Nagato Yumoto and Tawarayama Onsen. Day-time bathers are welcome for short visits, and many onsen are also attached to inns for overnight stays to soothe all travelers. Experience the cobalt blue Sea of Japan against your skin with Nagato's all-season diving, or on a cruise around the nearby island of Omijima. During particular seasons you can even enjoy trying your hand at grilling your own "yakitori" chicken, or at catching some of Nagato's delicious Senzaki squid. 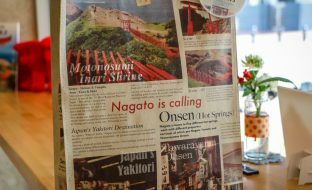 Opportunities abound to make your Nagato journey unforgettable. Grilled "yakitori" chicken skewers are a local delicacy in Nagato, whose remarkable number of yakitori restaurants has been recognized as top class within Japan. The oceans are bountiful as well, as Nagato boasts one of the highest swordtip squid harvests in Japan for its Senzaki squid. The dishes here are made with the freshest of both land and sea. from famous sights to traditional dishes, to hot springs that soothe the travel-weary. 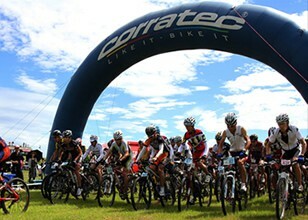 Enjoy Nagato's major sightseeing locations and incredible natural scenery. The area to enjoy Nagato's beautiful blue seas to the fullest, from the shore to beneath the waves! Nagato Yumoto is the oldest onsen in Yamaguchi Prefecture, making it a perfect chance to feel Nagato's history and culture with a soak in the hot springs. Visit the old-style hometown of Kaneko Misuzu, who penned children's nursery rhymes that are taught to children across Japan today. 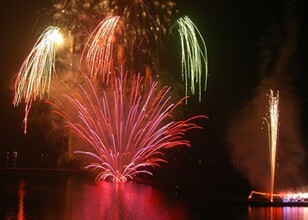 to the fireworks of midsummer, and the traditional festivals of the fall. 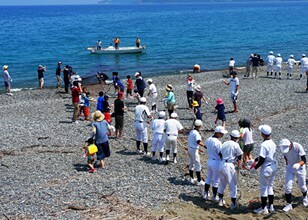 there are opportunities all year to enjoy Nagato's rich culture and natural splendor. in the northwest of Yamaguchi Prefecture. 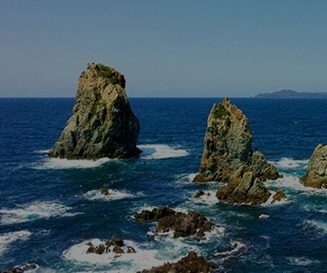 or from some locations directly via Yamaguchi Ube Airport.Upon arrival in Yamaguchi Prefecture, Nagato is reachable by train, taxi, or rental car.